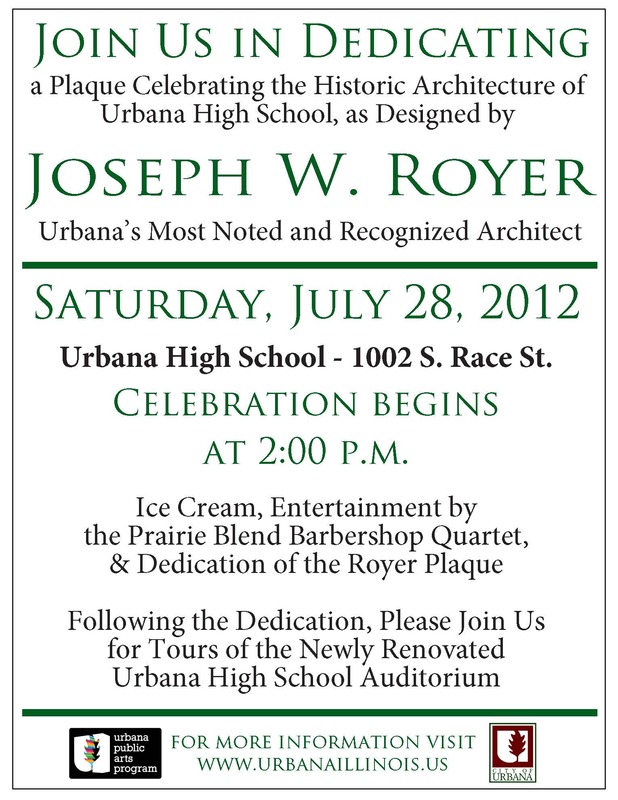 Please join us in dedicating a plaque celebrating the historic architecture of Urbana High School, as designed by Joseph W. Royer – Urbana’s most noted and recognized architect. When: Celebration begins at 2 p.m. and includes ice cream, entertainment by the Prairie Blend Barbershop Quartet and dedication of the Royer plaque. Following the dedication, please join us for tours of the newly renovated Urbana High School Auditorium.